Bollywood and cricket are the two most talked about things in the country. The superstars from both the spheres of profession have mutual respect for each other and sometimes this relationship can even turn into marriage, thanks to example like Virat Kohli and Anushka Sharma. Bollywood celebrities like Shah Rukh Khan have indirectly helped Indian cricket by owning the Kolkata Knight Riders franchise of Indian Premier League. 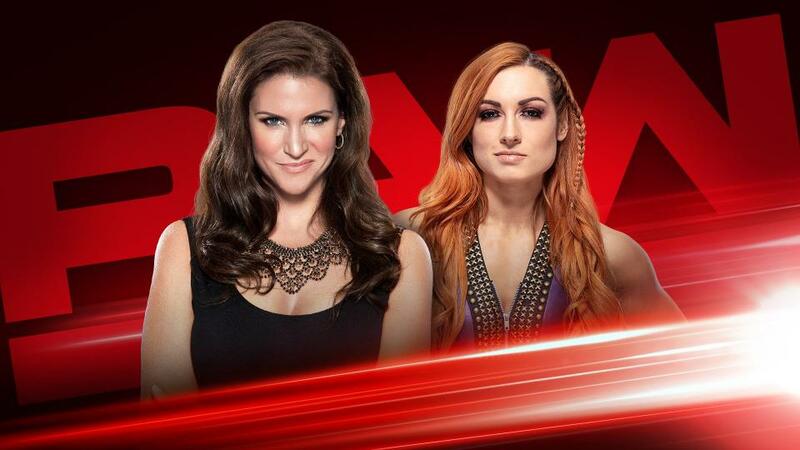 The franchise is currently investing on younger talents which is a happening news. 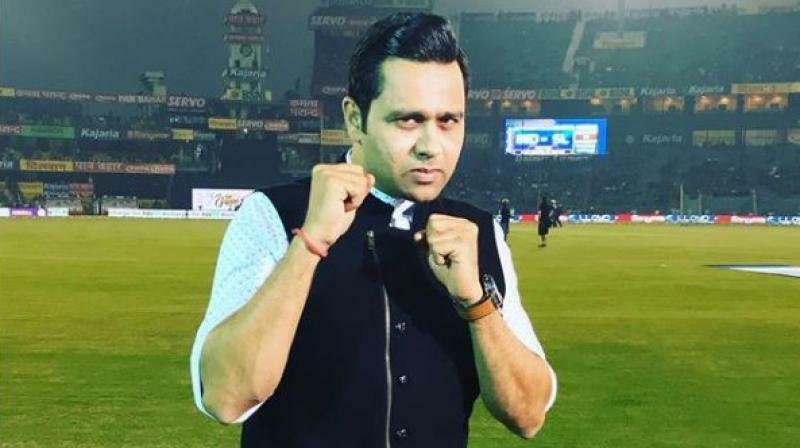 Many bollywood celebrities often tweet when India wins an emphatic match or any player single handedly turn the complexion of the game. 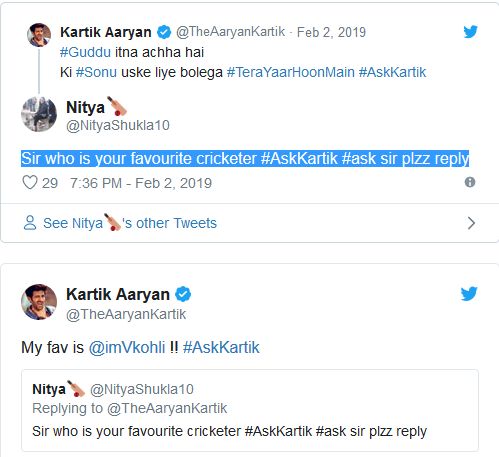 Meanwhile, budding Bollywood actor Kartik Aaryan has answered the question on his favourite cricketer during a twitter chat. 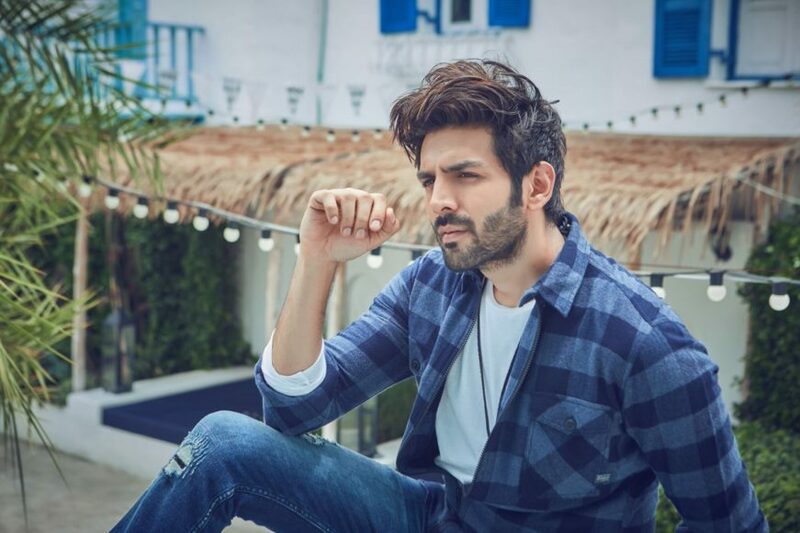 Kartik will be seen opposite Kriti Sanon in “‘Luka Chupi” which will release on March 1. The 28-years-old didn’t disappoint his fan and named Indian captain Virat Kohli as his favourite cricketer. On the professional terms, Virat Kohli is currently on a holiday with his wife Anushka Sharma after he was rested for last two ODIs and T20 series against New Zealand.